The DC Extended Universe has evolved in some interesting ways over the past several years, and few of the franchise's upcoming projects arguably hammer that home quite like Birds of Prey (and the Fantabulous Emancipation of One Harley Quinn). The upcoming Warner Bros. film took the nerd world by surprise in early February, when it dropped a brief teaser video of the film's costume tests. All at once, fans got a look at a new side of Suicide Squad's Harley Quinn (Margot Robbie) as well as a slew of new takes on beloved DC Comics characters. Granted, the film is currently several months into production, so a lot of details surrounding the project still remain a mystery. 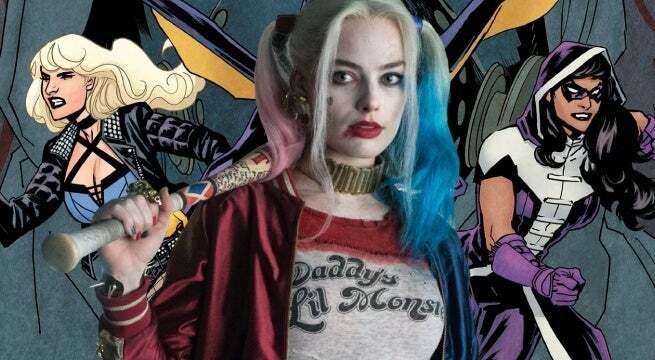 But if you've been wondering more about the cast of characters in Birds of Prey, and what to potentially expect in the film, we're here to help. Read on to find out who's who in the film's ensemble, how the film paves its own way in the DCEU, and what kind of Easter eggs might make their way into the film. Yes, you read that right; the film is (at least for now) titled Birds of Prey (and the Fantabulous Emancipation of One Harley Quinn). The title, which was revealed by Robbie when she shared a photo of the film's script, certainly caught fans' eyes for a good reason. “That’s real," Robbie revealed during an appearance on The Tonight Show Starring Jimmy Fallon last year. "Yeah, that’s the title. It’s not going to be … It’s not a very serious movie. Birds of Prey makes it sound very serious, and then that [subtitle is] Harley kind of going ‘Hey, here I am.’"
"I love a long title," Robbie explained. "I said that when we were trying to come up with the title, 'Did you ever see The Hundred-Year-Old Man Who Climbed Out of the Window and Disappeared?' ...It’s a long title, but I love it." As it turns out, the title was actually originally crafted by the film's screenwriter, Christina Hodson, although she wasn't expecting it to actually be used. "It was an unofficial aka, when I wrote the script," Hodson explained late last year. "I added it about a year or so ago, almost exactly as it is, just as an aka. I didn’t think we’d ever use it. We’d always used a working title, so I just had it as a cheeky little thing, on the front cover. And then, when we were talking about a title and brainstorming, we all kept drifting back to that one." 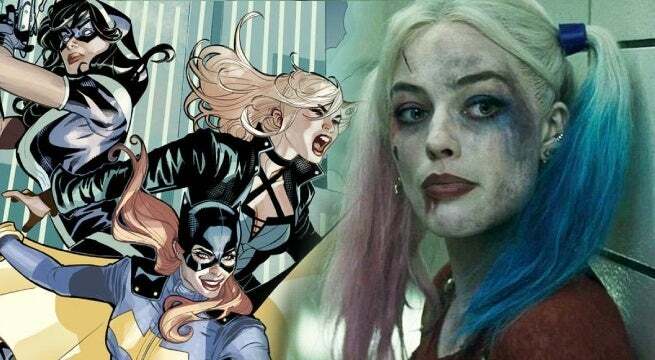 While the plot of Birds of Prey is still largely unknown aside from a series of potential details leaked last October, there already is some indication of where the story could be headed. One of the earliest details reported about the film has been that it will begin with Harley breaking up from the Joker (Jared Leto). While that particular nugget hasn't been officially confirmed, a lot of context clues have certainly supported it, from the Fantabulous Emancipation subtitle to set photos showing Harley having crossed out her Joker-related tattoos to the fact that a Harley-Joker spinoff has been put on hold. “I pitched the idea of an R-rated girl gang film including Harley, because I was like, ‘Harley needs friends.’ Harley loves interacting with people, so don’t ever make her do a standalone film," Robbie said in a previous interview. "She’s got to be with other people, it should be a girl gang. I wasn’t seeing enough girl gangs on screen, especially in the action space. So that was always a big part of it." This serves as its own sort of twist on the Birds of Prey comics, which follow an ensemble of DC Comics heroines -- traditionally Oracle, Black Canary, and Huntress -- teaming up in Gotham City. While the team has had a pretty rotating roster in the comics over the years, Harley has only sporadically crossed paths with the team, which largely plunges the film into its own narrative territory. The film is also expected to be set in a different version of Gotham than what's previously been seen in the DCEU, as Bruce Wayne/Batman (Ben Affleck) has reportedly been absent from the city from several years. With Affleck officially done in the role, and the upcoming The Batman expected to follow a new take on the caped crusader, it sounds Birds of Prey will offer its own take on the city, more in line with DC's overall plan for their "shared universe". 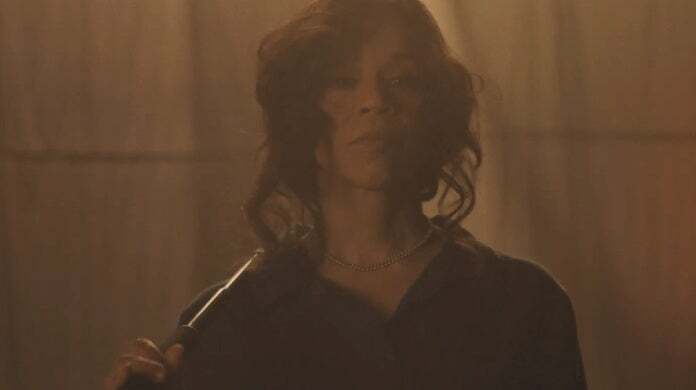 Starring alongside Robbie in the film are Jurnee Smollett-Bell and Mary Elizabeth Winstead, who will be bringing to life two iconic members of the Birds of Prey team. Smollett-Bell (Underground, True Blood) will be playing Dinah Lance/Black Canary, a street fighter who traditionally has a metahuman "Canary cry" in the comics. The earliest looks at Smollett-Bell's version of the character appear to be drawing inspiration from Brendan Fletcher and Annie Wu's Black Canary comic run, which depicted the character as the frontwoman of a rock band. Winstead (Fargo, Scott Pilgrim vs. the World) will be playing Helena Bertinelli/Huntress, who has been described as a "former mafia princess" who becomes a vigilante after she sees her family killed at a young age. While Huntress has had several different comic origins over the years, it's clear that her big-screen debut will keep some things consistent -- including her iconic crossbow. 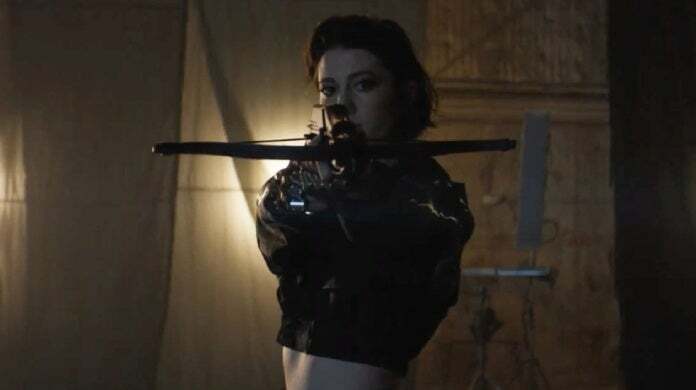 “I’m going to start training, and I’ll be learning how to shoot a bow and arrow, too — which is new for me," Winstead revealed shortly after being cast. Despite early reports suggesting otherwise, there is currently no confirmation that the final member of the Birds of Prey comic trifecta -- Barbara Gordon/Batgirl -- will be making an appearance in the film. But with Hodson also penning the Batgirl solo film, and a "Birds vs. Sirens" trilogy rumored to be considered by the studio, fans are certainly curious to find out how the two projects could end up connecting. Also factoring into Birds of Prey in a major way are two other fan-favorite female characters: Renee Montoya and Cassandra Cain. Rosie Perez (White Men Can't Jump, Fearless) will play Renee, an openly lesbian detective on the Gotham City PD. In the comics, Renee ultimately becomes a superhero in her own right when she takes on the mantle of The Question, although it's currently unclear where her big-screen storyline will go. Ella Jay Basco (Veep, Teachers) will play Cassandra, the young woman who becomes the focus of the Birds' protection. In the comics, Cassandra is the daughter of David Cain and Lady Shiva, who was raised from an early age to be a mute, highly trained assassin. Eventually, she takes on the mantle of Batgirl while living with Barbara Gordon, before she passed the mantle on Stephanie Brown. Cassandra then operates under the mantle of Black Bat, before eventually settling into the superhero name of Orphan. This marks the first big-screen role for Basco, who is the niece of Hook and Avatar: The Last Airbender star Dante Basco. And on the antagonist side of things, two fan-favorite actors will be helping bring notable DC Comics villains to life within the film. Ewan McGregor (Fargo, Star Wars) will be playing Roman Sionis/Black Mask, a Gotham crime boss. In the comics, Black Mask is a drug kingpin in Gotham City who was a reluctant childhood friend of Bruce Wayne. After killing his parents and inheriting their fortune, Sionis ends up ruining his family's cosmetics company, with Bruce offering to help bail him out. Sionis then visits his parents' grave, where he is struck by lightning, an event that he sees as his own personal "rebirth." Sionis then destroys his father's casket, using the pieces to make his Black Mask, and quickly becomes a crime boss. While he will be making his big-screen debut in Birds of Prey, Sionis has been teased in the DCEU for several years now, with a Janus Cosmetics sign briefly showing up in Justice League. 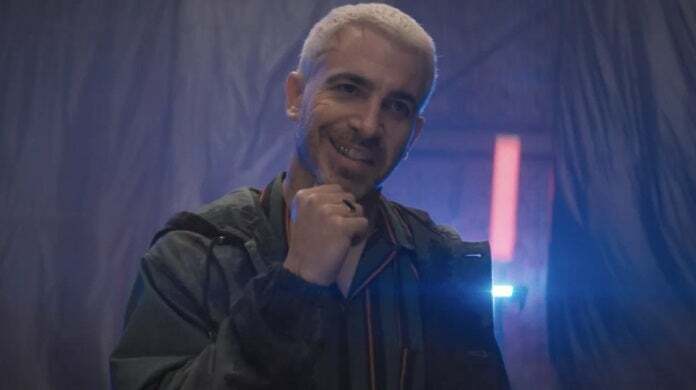 Chris Messina (The Mindy Project, Sharp Objects) will be playing the latest portrayal of Victor Zsasz, a fan-favorite Batman villain who carves tally marks into his skin for every person he kills. 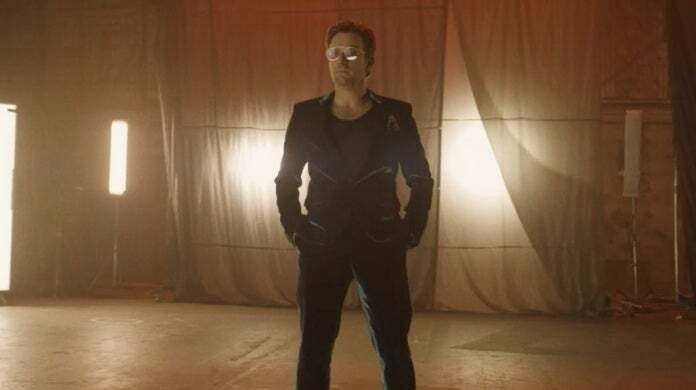 When Messina was cast, it was revealed that his version of Zsasz would be working for Black Mask, although set videos seem to hint at him possibly having an alliance with the Birds as well. 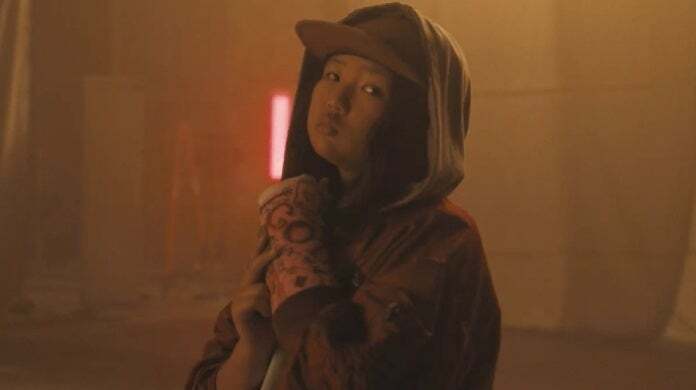 Birds of Prey will be directed by Cathy Yan, a former journalist who made her feature directoral debut with the indie darling Dead Pigs. Yan, who is the first Asian woman to direct a superhero movie, ended up being drawn to the project in some unique ways. That aformentioned script comes from the previously mentioned Christina Hodson, whose credits include Bumblebee and Unforgettable. Other actors who have joined Birds of Prey are Ali Wong (American Housewife), Robert Catrini (Jack Reacher: Never Go Back), Michael Masini (Dynasty), and Charlene Amoia (How I Met Your Mother), the latter of whom will be playing Helena's mother. The crew for Birds of Prey also includes cinematographer Matthew Libatique (who was recently nominated for an Oscar for A Star Is Born), stunt coordinator Jonathan Eusebio, and fight coordinator Jon Valera, both of whom have worked on John Wick and Black Panther. 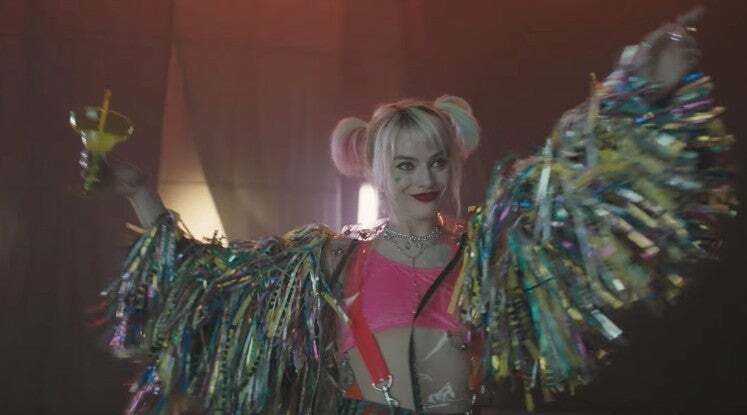 While Birds of Prey might be paving new narrative ground, the cast and crew have already hinted that it will serve as a sort of love letter to what fans are used to the comics. "It’s really fun and different," Hodson said in an interview earlier this year. "And honestly, I think aside from the fact that, obviously, the studio would like me to not say anything, I think it’s fun not to say anything yet because that means there’s going to be whole bunch of fun little surprises for fans and for new people to the DC universe to discover." As it is, fans have already gotten some insight into those DC Comics teases, namely in the form of various stylistic cues and Easter eggs. Harley's first costume for the film has a nod to Harley co-creator Bruce Timm (and possibly Poison Ivy), and a series of set photos from the project have hinted that her pet hyenas just might appear as well. 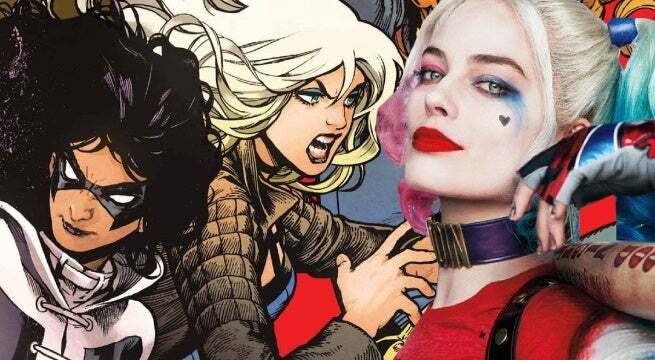 Birds of Prey (and the Fantabulous Emancipation of One Harley Quinn) will land in theaters on February 7, 2020. Other upcoming DC films include Shazam on April 5th, Joker on October 10th, Wonder Woman 1984 on June 5, 2020, The Batman on June 25, 2021, The Suicide Squad on August 6, 2021, and Aquaman 2 on December 16, 2022.